In today's interview, we speak to Alina Voyce, author of the wildly popular e-book series Lifelights. 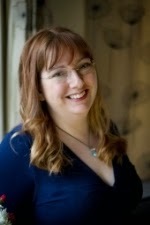 Alina, so far only one of two British WEbook author, has recently finished writing the fourth book in her Lifelights series. Alina lives with her husband and two teenage children in East Yorkshire. 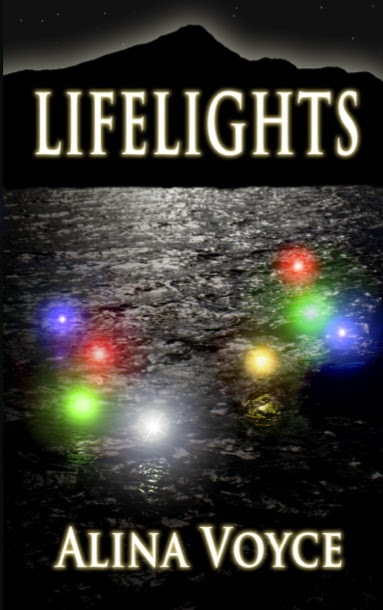 Alina's debut WEbook title, Lifelights, will be released soon, available exclusively in the WEbook store. WB: Alina, you're a British author - how did you first find WEbook, which was originally an American-based site? Alina: I actually found the site through a BBC News report, in which WEbook was listed as one of the top sites on the Web. So I decided to take a look. Luckily for me, it was not only easy to find, but easy to use. 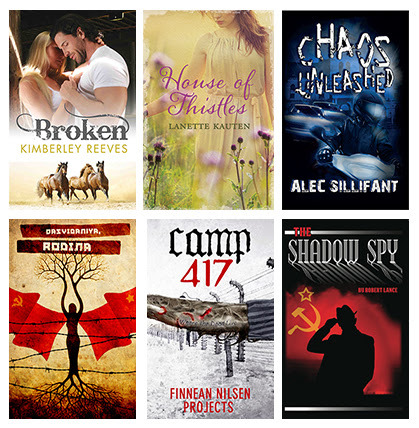 Even I, a self-confessed technophobe, could figure out how to upload my work and communicate with other members – most of these were from the U.S., but the more I engaged with the site, the more I realised that WEbook was also being used by authors from all around the world. WB: As you say, there are members from all over the world here on WEbook. Have you ever found communication to be a problem? Alina: Not really. There are obviously differences in spelling and grammar, but most people seem to be aware of these and adjust the feedback they leave accordingly. If not, all it takes is a message explaining that I’m British, so my way of spelling words such as 'colour' and 'defence' will be different, and that words like 'hood' and 'trunk' become 'bonnet' and 'boot' in any story that I write. It’s made for some entertaining conversations in the past, but that’s about it! UK English or US English? WB: So, you found the site and you liked the set up and the people—is that what’s kept you here for over three years? Alina: Yes, pretty much. When I first started a project on WEbook, it was a story that was going nowhere—and the members here were quick to point that out! So I chucked that idea out the window and started on something else—something that other WEbookers agreed had potential. In the end, that idea turned into Lifelights. 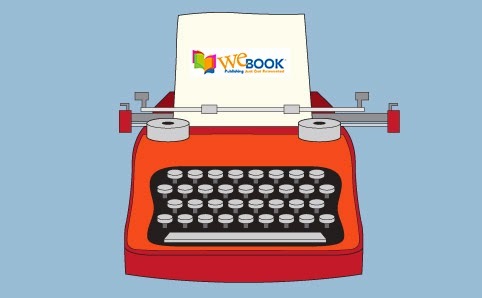 WB: When you joined WEbook back in 2010, did you ever think your stories would be published by WEbook? Alina: Absolutely not! In fact, I’m still having trouble believing it. Having said that, I think it’s rather fitting that my stories will be published and marketed through the site that helped me to develop them in the first place. WB: Tell us about Lifelights: what genre is it? Alina: Er…pass? Lifelights doesn’t really slot into one particular genre. The series as a whole is an evolutionary tale, with a strong backbone of sci-fi and supernatural elements, but Lifelights is also a romance. As a result, it’s a story that’s been read (and enjoyed) by both male and female readers – some of whom have been surprised that they liked it! WB: You’re obviously a fan of WEbook and extremely happy that your book will be available through the site. What are your hopes for the future of the site? WB: Thanks so much, Alina! Good luck with the release of Lifelights. Time was on her side this morning. The last of the cakes were in the oven, presenting an opportunity for some non-kitchen work. Taking a seat in the Victorian-style dining room, she began the next task: folding napkins around silverware. Her eyes flicked around the cafe’s interior as she worked, checking for other jobs. The atmosphere of old-world luxury was something Mara always enjoyed. Dark, wood-panelled walls, rich, soft furnishings, and shining brass transported her to another era. At least, it usually did. Today, her mind had other ideas, and all of them were focused on the voice in her head. The condiments were full, the tablecloths spotless, the menus in place, and the blue and white china shone invitingly on the fitted oak dresser. There was nothing left to do, and she still couldn’t decide whether the voice was friend or foe. If it was the Lifelights, fine, but that last comment… worried her. Mara glanced at the clock above the till. It was almost time to change the window sign to ‘open’, and Jennie still hadn’t arrived. That in itself wasn’t unusual, but today it made her nervous. As if on cue, the door swung inwards, but no leggy blonde stepped through the opening. A tall, lean figure appeared, wrapped in a rain-soaked mac. The copy of The Times he carried looked equally soggy. Mara’s vision blurred as her eyes began to burn. Grabbing one of the napkins, still piled on the table, she ducked her head and dabbed at the tears spilling down her cheeks. Oh no, not again. Excellent excerpt. I can almost smell the cakes in the oven.